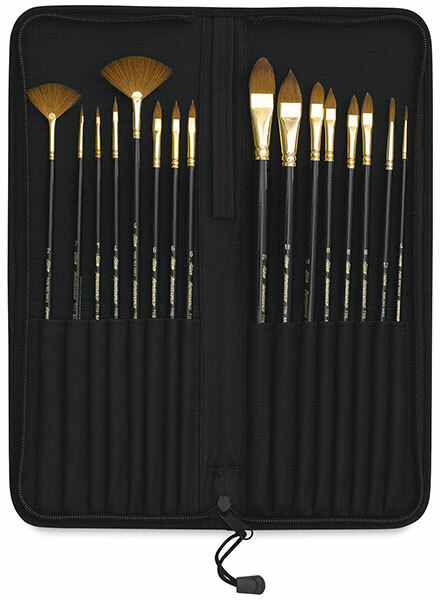 Designed to the specifications of renowned portraitist Daniel Greene, the long-handled brushes in this Detail Brush Set are ideal for portrait painters and other professional artists. 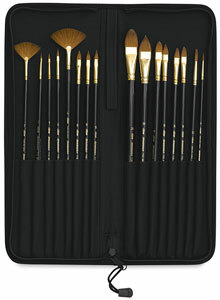 The set is enclosed in an elegant black Tuscany travel case. Made in Germany, Silver Brush Renaissance brushes feature select Red Sable hair that is carefully hand cupped, individually tied into bundles, then set by experienced brush makers into seamless, gold-plated ferrules and fitted into carefully balanced, gloss black hardwood handles. Their fine point or sharp chisel edge resists splitting.